~The bow of the Hōkūle‘a points towards Mauao - Mount Maunganui. Tangaroa the God of the moana – the sea, guards the entrance towards Tauranga. It is fortunate to have been a port of call for the much celebrated Hōkūle‘a, now into the first year of an epic Worldwide Voyage. A national treasure in Hawai'i, she has become a cultural icon since her beginnings in 1975, when what began as a research project, has ensured a re-connection with Hawaiian cultural heritage and powerful maritime voyaging traditions. 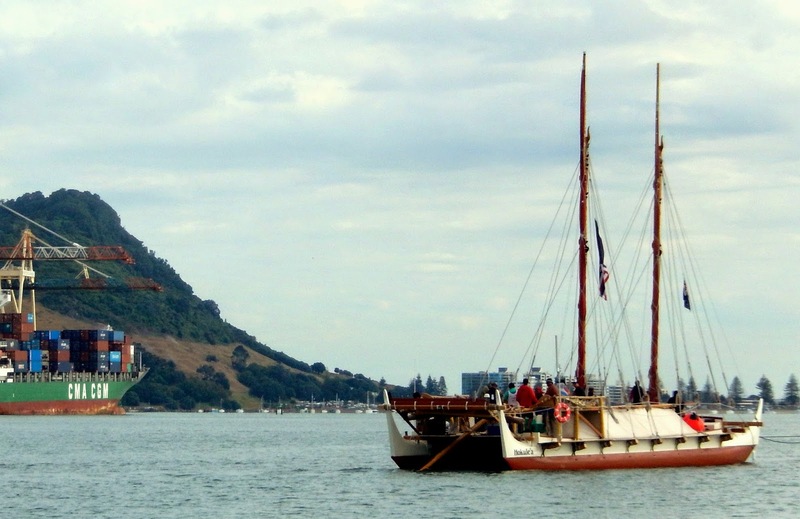 The design based on the Polynesians primary voyaging craft with two hulls and lashed crossbeams, is known as wa'a kaulua in Hawaiian and waka hourua in Māori. Hōkūle‘a is the Hawaiian word for the zenith star - Arcturus, a vital navigational star for ancient voyagers. Her oceanic journeys, achieved through the skilled expertise of navigation based on traditional way-finding methods - the reliance on acute observation of natural environmental indicators, are also grounded in science and incorporate oceanography. Among her positive contributions is a renaissance of voyaging, sparked throughout the Pacific. A chance to turn 'myth and legend into reality',* and an embodiment of a return to a more holistic and respectful environmental approach for peoples all around the world. Most recently the MUA voyage to the IUCN World Parks Congress in Sydney Australia, was attended by a Pacific based voyaging fleet. 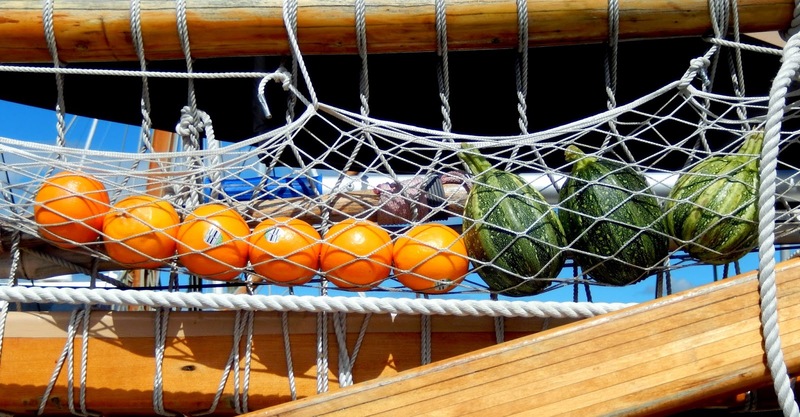 Ocean preservation is a message the Worldwide Voyage will carry. 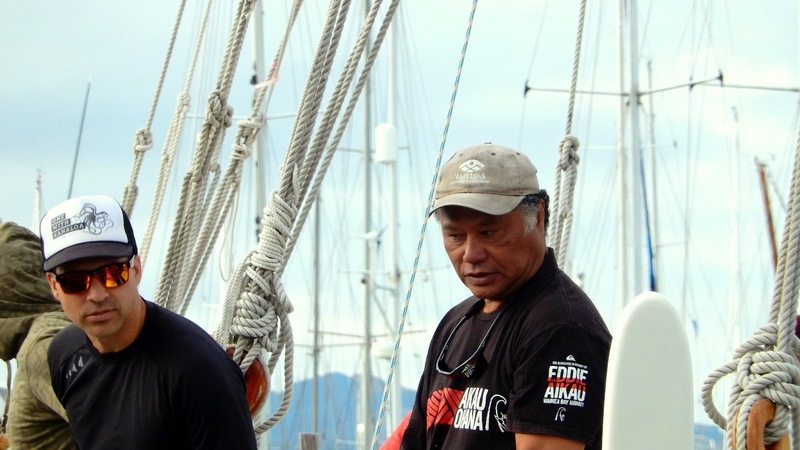 Mālama Honua, 'to care for our Island earth' is a four year undertaking encompassing 47,000 nautical miles and will soon involve the Hōkūle‘a leaving the Pacific for the first time. Ban Ki Moon has signed, when the Hōkūle‘a was en route through Samoa last year. Tauranga's Māori translation means - resting place or anchorage, but the crew work busily with local communities to spread their outreach work. It's also the chance for them to connect with like minded peoples on the way. Those who hear the Hōkūle‘a is in town show up and there is a steady stream of admirers to the marina. Expats from Hawai'i and locals, with varying connections. One of them has driven from out of town, and stepping on board can barely contain his amazement. When the Hōkūle‘a was last in New Zealand in 1985, during the voyage of rediscovery, he was waylaid by a storm sailing to Northland and missed the chance. Mālama Honua presentation Kālepa Baybayan gives at nearby community based - Whareroa Marae. The incredible navigational star compass demonstration is done by way of a large interactive star chart placed on the floor. Kālepa stands in the centre of the compass and speaks of it being conceptual. It is captivating to hear him explain the sea birds relationship with the horizon in relation to navigation, and the other vital clues used in navigation – where the sun rises and sets, the stars and the moon and observing wind and wave patterns. When the Hōkūle‘a prepares to leave for Auckland the following morning, there are many well wishers at the marina. Joining on board, a prayer is said in Hawaiian. On the starboard side, a plaque pays permanent tribute to Eddie Aikau. His wish and vision to see Tahiti rising out of the sea, has been realized by the Hōkūle‘a, with celestial magnificence. 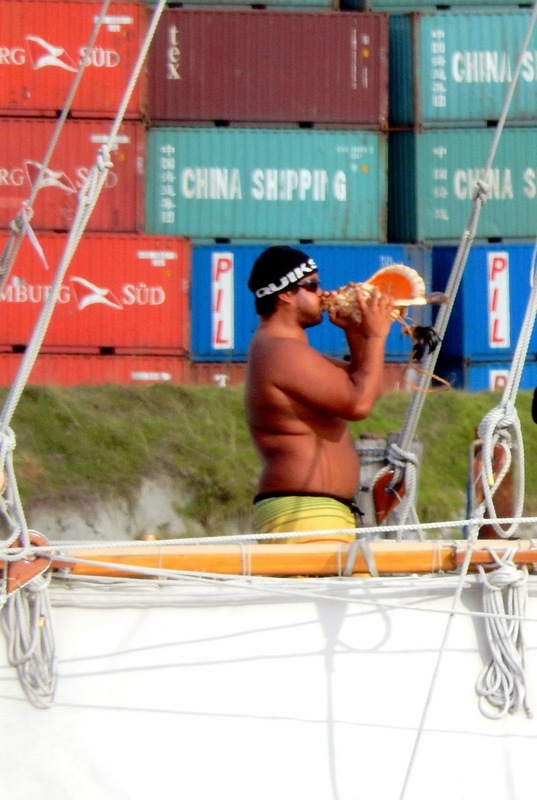 in relation to the renaissance of Pacific voyaging.